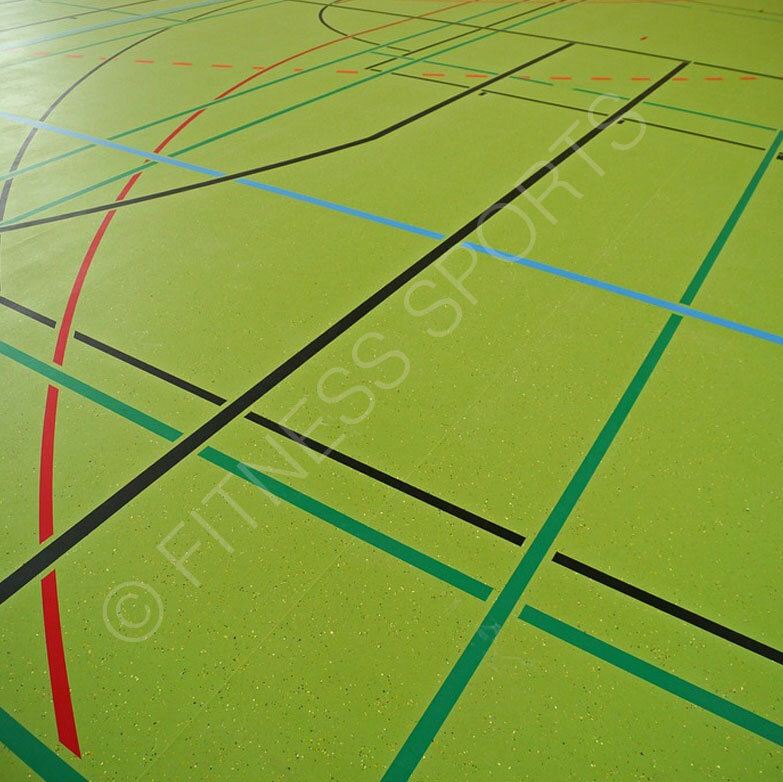 Line marking and line painting for indoor sports halls and gymnasium floors, and exterior MUGA sports pitch area line marking services. Interior or exterior. High quality marking for football, basketball, tennis, hockey and netball courts. Combination colour markings. SPEA, FIFA, FA & BBL regulation marking for schools and univeristies, leisure centres. Surfaces from clay and grasscourt to polymer and 3G pitch surface marking. 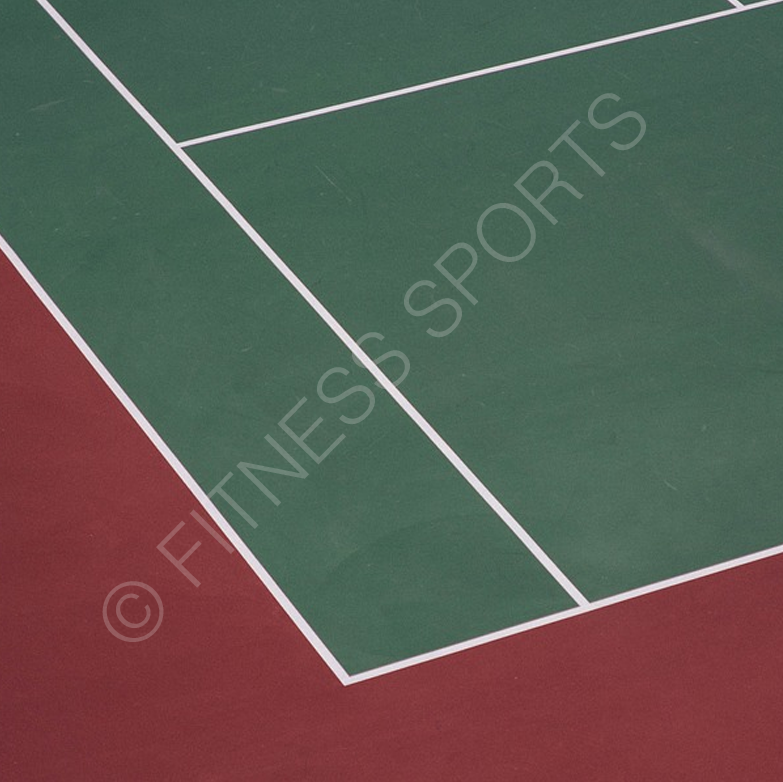 A selection of latex and polyurethane line marking services suitable for exterior and interior sports courts. Multi colour standard court markings and bespoke designs. Sports court line marking for junior and senior areas. Using highly weatherproof and UV colour pigments our line marking paints are eco-friendly, close to pH neutral and only contain extremely low levels of volatile organic compounds, ensuring a minimal impact factor on the environment. 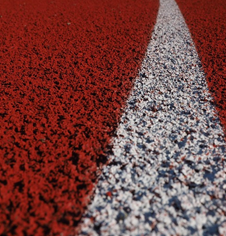 Porous polymeric surfaces are fully IAAF approved for athletics clubs, universities and schools to provide a robust and stable surface for competitive athletics. Our high performance surface marking is suited to regulation running tracks and IAAF distance markings for triple or long jump run ups and take off points. Sports court football and basketball line marking. Artificial weatherproof 3G sports pitch matting. Plastic polymer multi sports tiled playing surfaces. Playground pitch and MUGA equipment installation.